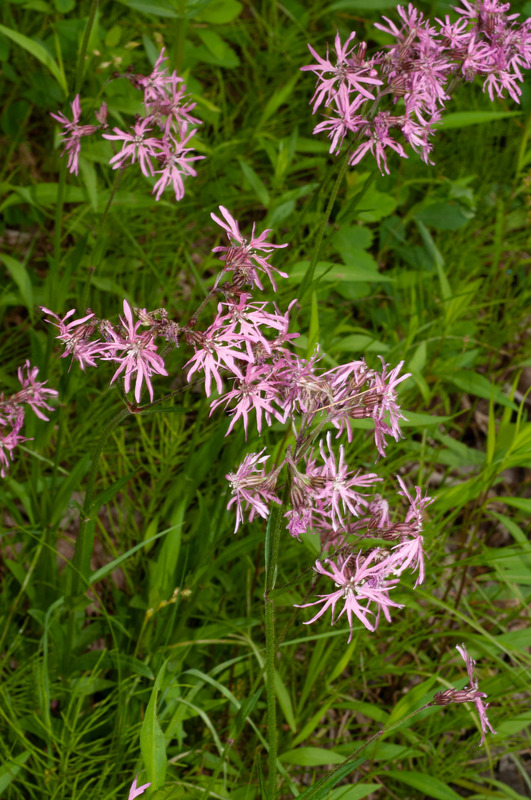 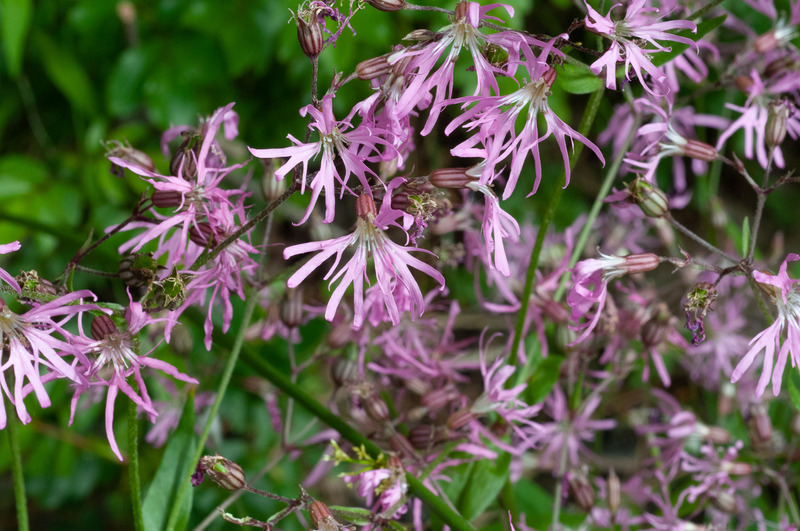 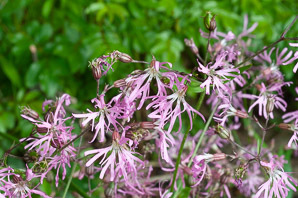 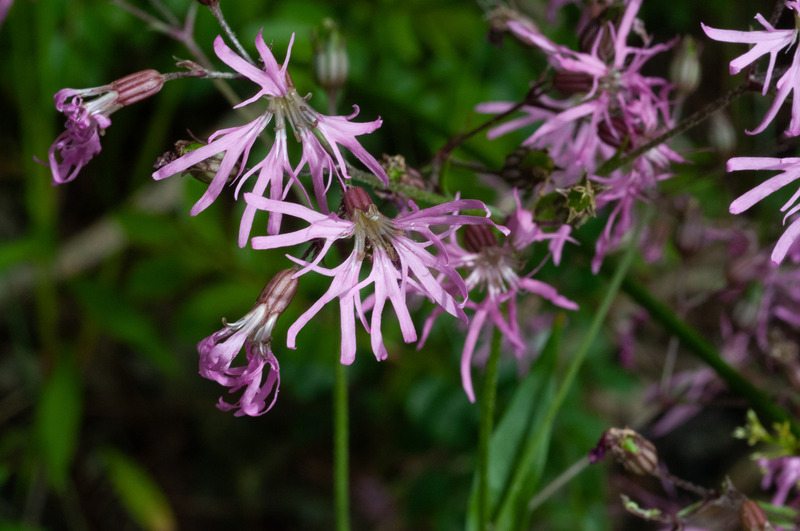 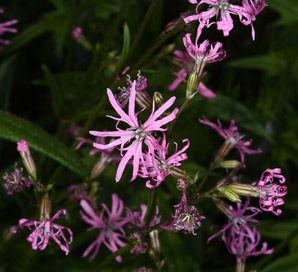 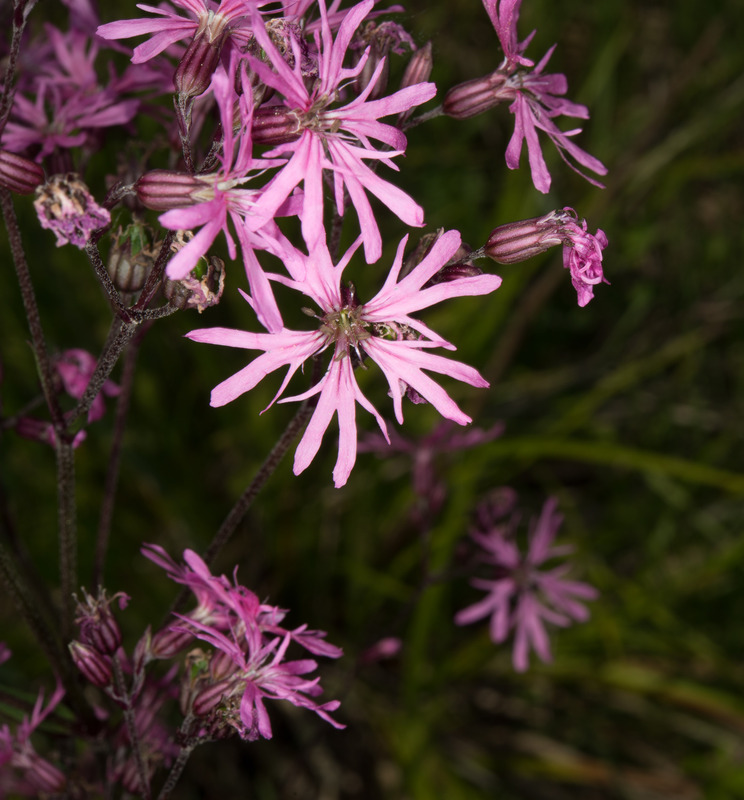 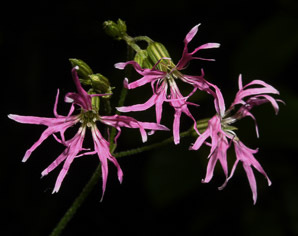 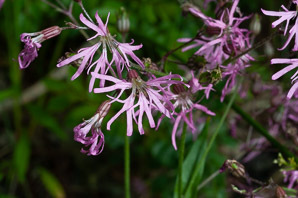 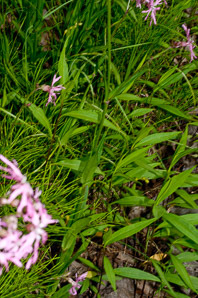 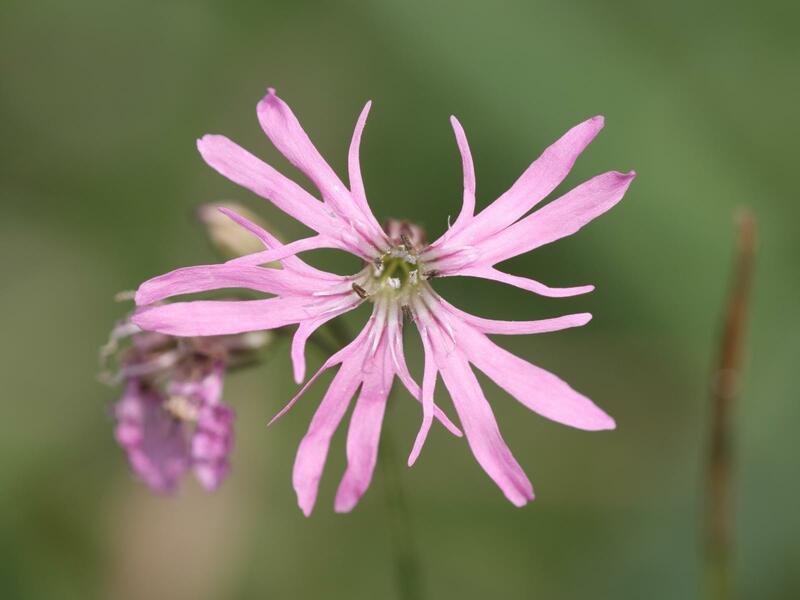 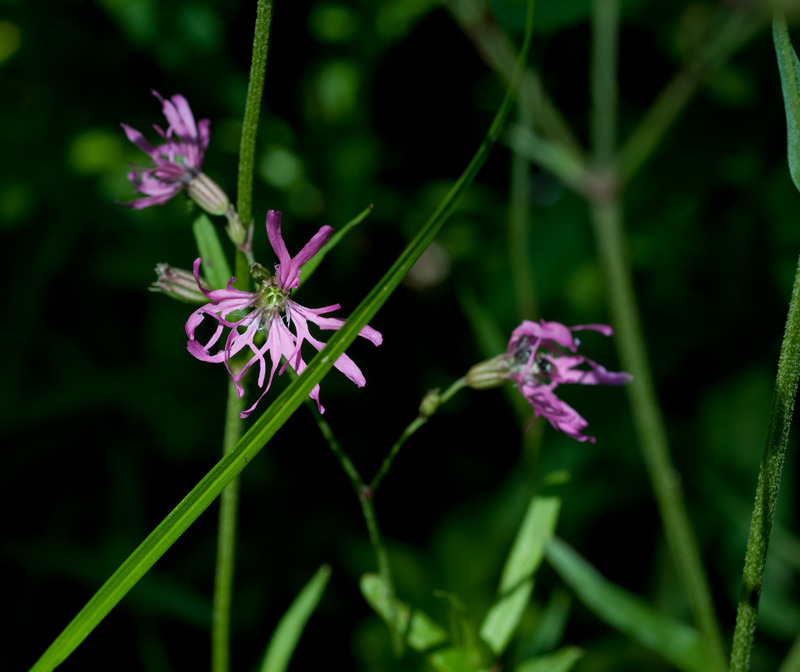 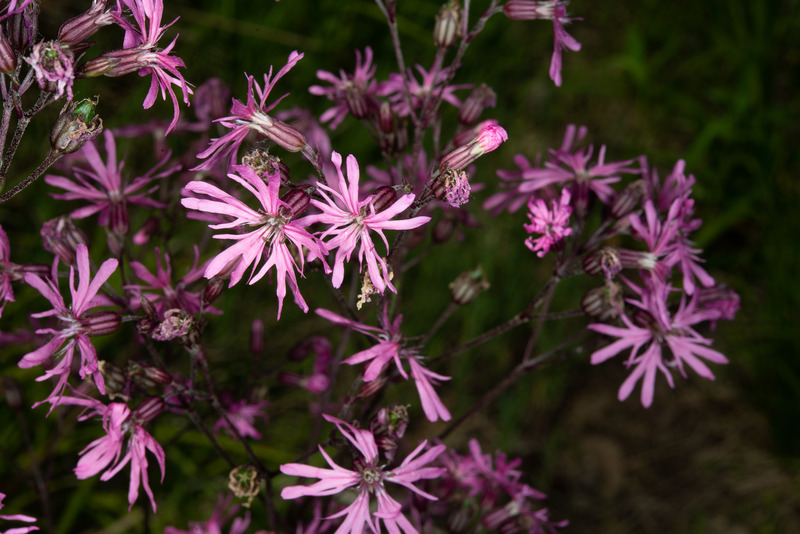 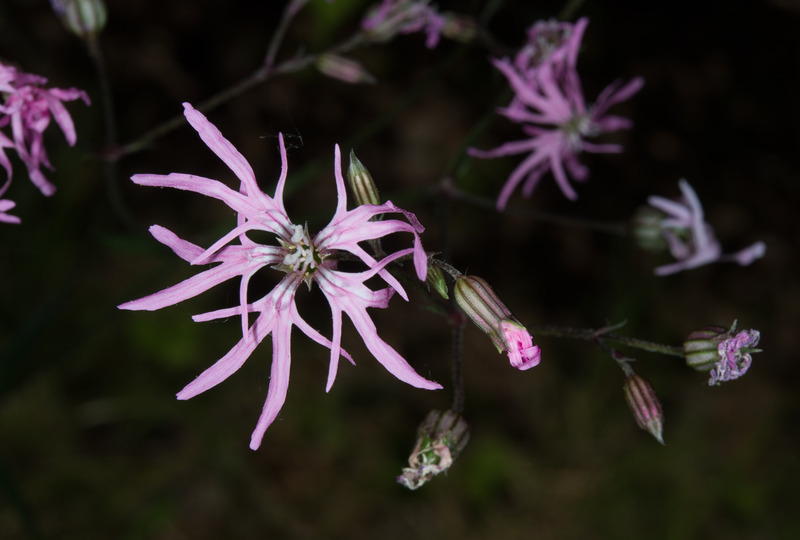 Ragged robin, named for its ragged-looking pink blossoms, is a native of Europe that has become naturalized in northeastern North America. 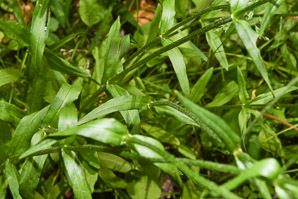 Identification: Plants are 8-35" (20-90 cm) in height. 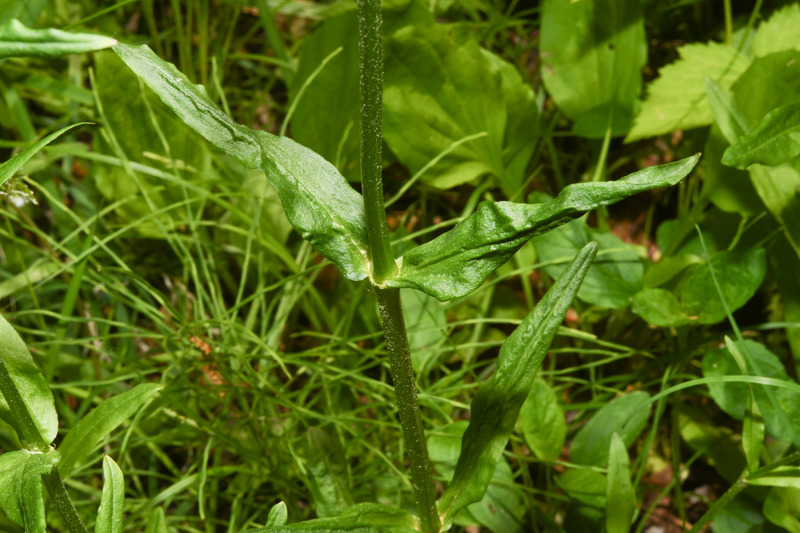 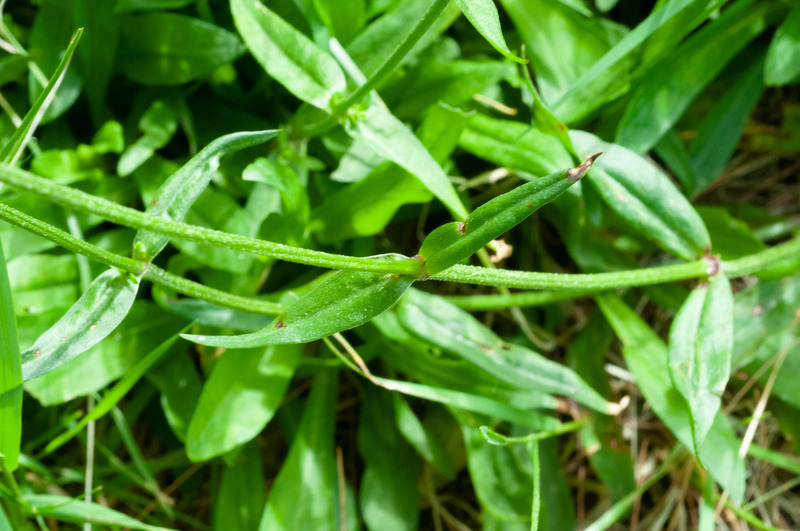 Jointed stems have long, narrow leaves in pairs, each up to 3" (7.6 cm) in length. 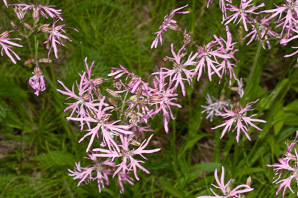 The pink (rarely white) flowers, 1-1½" (3-4 cm) across, have five petals, each with four uneven lobes. 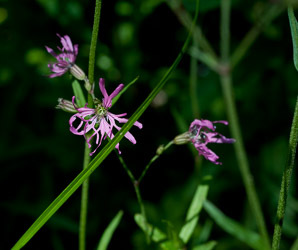 Flowers are 1-1½" (3-4 cm) across. Leaves are 2-3" (5-7.6 cm) long × ¼-½" (6.3-12 mm) wide, entire, and attached directly to the stem. 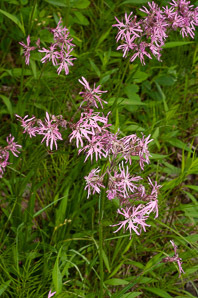 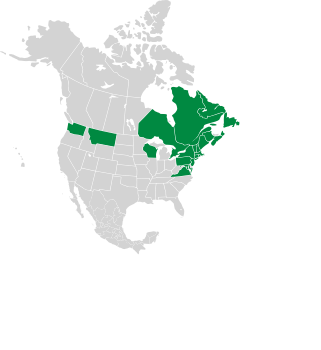 Here are species with similar-looking flowers. See also Centaurea. 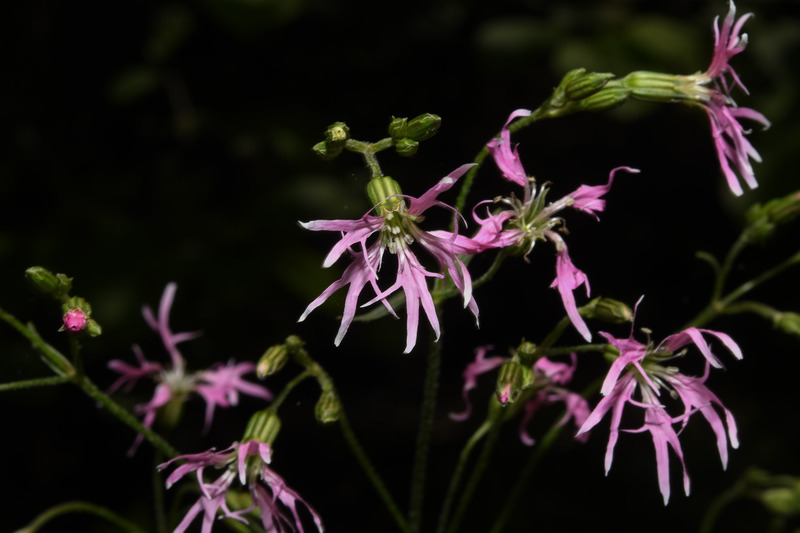 Lychnis flos-cuculi description by Thomas H. Kent, last updated 12 Oct 2018.